As the mobile application industry continues to grow and thrive with the demand and popularity of mobile applications, the competition between mobile application development firms, mobile app companies and mobile application developers is growing very intense as each mobile application development firm is attempting to gain a competitive advantage and outbid their rival mobile application development firm. The competition between these mobile app development firms for the right to win a contract to develop a mobile application for a client has grown so fierce, that some mobile app development firms are cutting their margins in half just in order to have a project going to keep their mobile application developers working and no idle time. Some companies such as V-Soft, Inc have been able to gain a competitive advantage in mobile application development industry by utilizing project management tools such as Basecamp and also being very efficient with their communication responses. V-Soft, Inc recently started using a new project management software known, as Basecamp and the reviews from their clients on Basecamp have been amazing. Basecamp allows the client to have direct communication with the mobile app developers on a real-time basis and also allows the client to know what is going on throughout every step of the mobile application development process. Basecamp also has Mobile Application Discussions Boards where the client can have back and forth conversations with the Mobile App Developers, Check-Lists/Timelines where the client can see what specific function of a mobile application has been developed and what more mobile application development is needed for the project in the future. Project Management tools such as Basecamp has given V-Soft, Inc a huge competitive advantage in the mobile application development industry and a lot of its success in bringing on new clients can be accounted for due to the Basecamp tool. Another reason why V-Soft, Inc has been able to have such success in the mobile app development industry and gain a competitive advantage in the mobile application development industry is because of their communication processes. Unlike other mobile app development companies and mobile app developers in the mobile application industry, V-Soft Inc ensures that their mobile application developers always have email access (either via their PCs/Laptops or their Smartphones) and respond to emails as soon as possible. The mobile application developers at V-Soft, Inc realize the importance of communication and never leaving the client wondering what is going on with their project; and for that reason, communication is at the core of V-Soft’s business process. The mobile application development industry is very competitive and mobile application development firms / mobile application developers need to realize that it is not only how good they can develop mobile applications which matter anymore, it is the overall business process on how clients are treated, how to ensure the client is always engaged in the project and how to make the comfort level of the client the best possible. If a mobile application development company or mobile app developer does not have a core business process, then individuals/companies who want to have a mobile application developed will simply go to the next mobile application developer or mobile app development firm who can give the client not only a quality mobile application but also a proper business process which will make the client feel comfortable throughout every step of their mobile application development process. 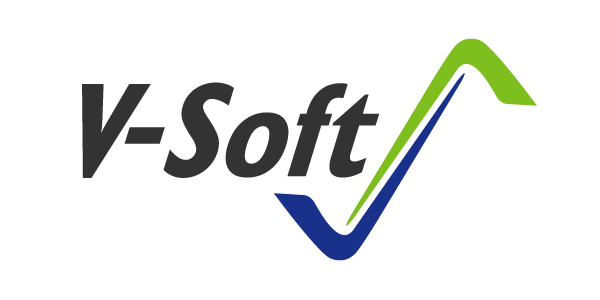 Mobile Application & IT Service Portfolio offered by V-Soft Inc.